Like our FaceBook page and follow our hikes and Alaskan scenery. 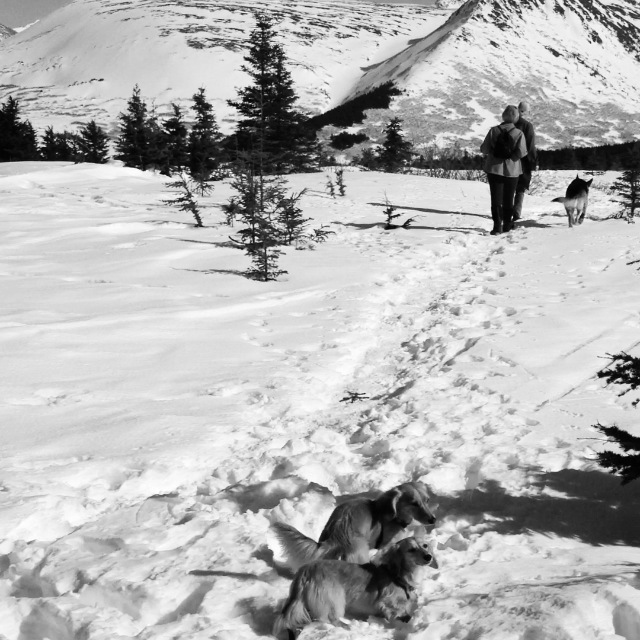 This weekend the snowieners hiked more than 10 miles. They enjoyed sunny days and great views. Some grass patches are starting to show up. They sniffed them at every opportunity. 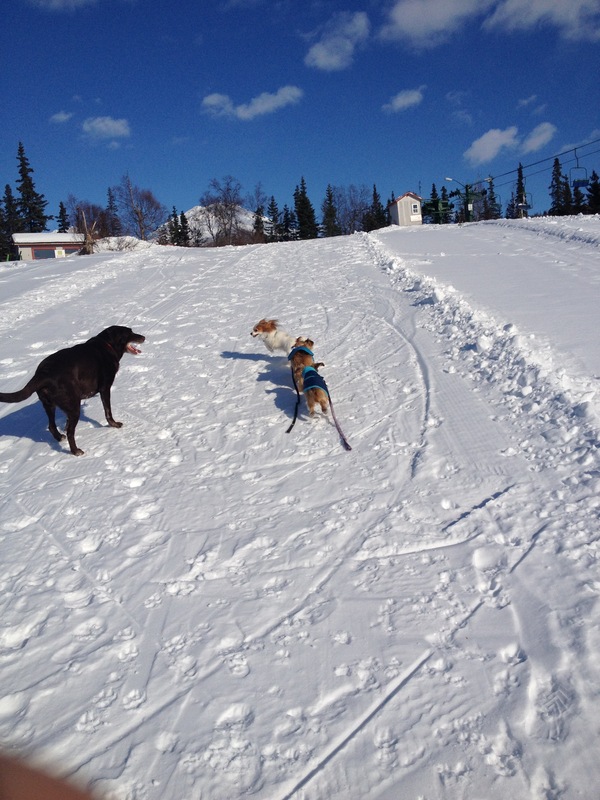 TeKeela and Bailey met Charlie last week. They love chasing him. 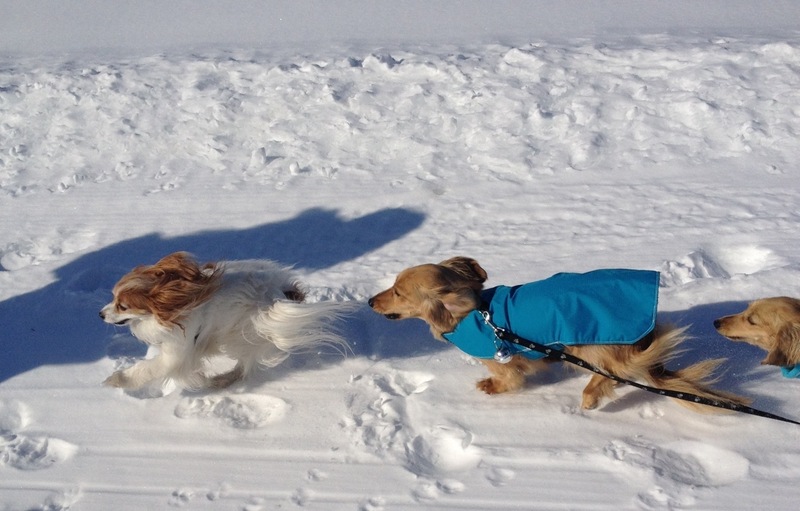 He’s too fast for the snow weenies, though. 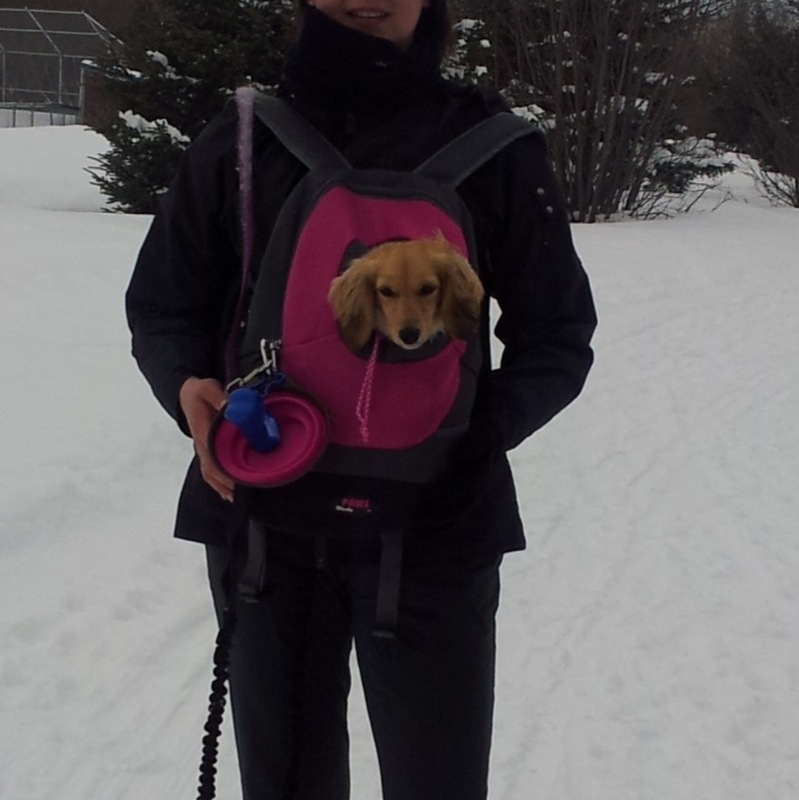 Here is TeKeela in her new little back pack. Sometimes, she would need a little break when we go hiking. I know she needs a break when she starts slowing down. I normally check her paws for ice balls and give her a treat for some energy. 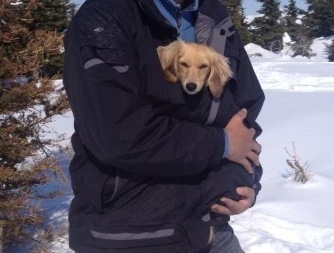 Unfortunately, if we just stop to rest, Bailey would get cold and then I would need to hold two little ones! 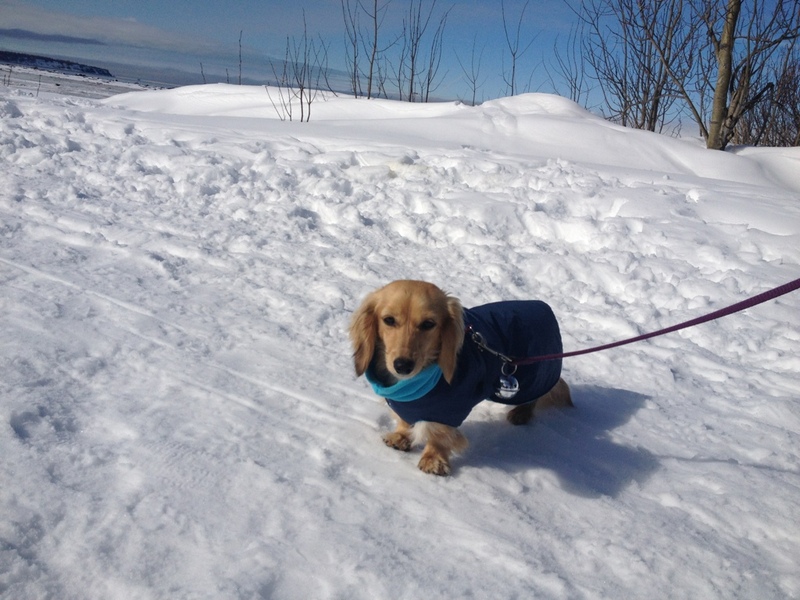 Here are some pictures of TeKeela during her breaks in some of our hikes. She is so fortunate that everyone wants to hold her. 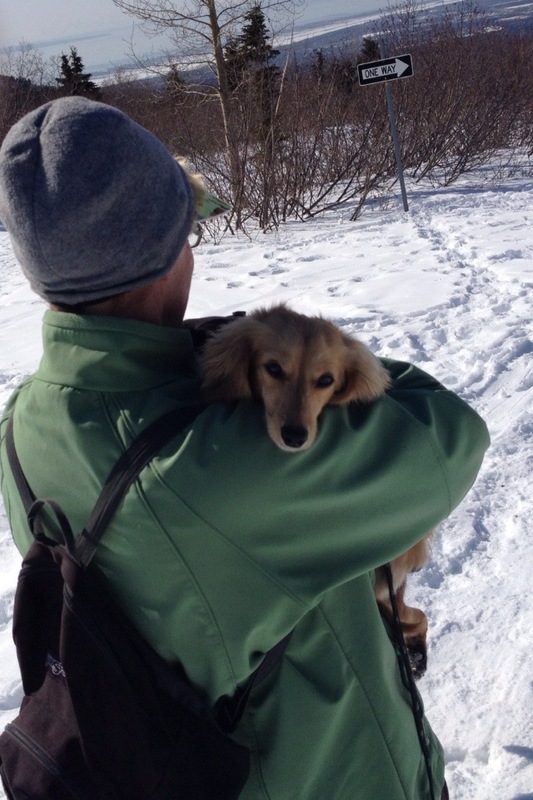 What do you do when your dog gets tired during a hike? 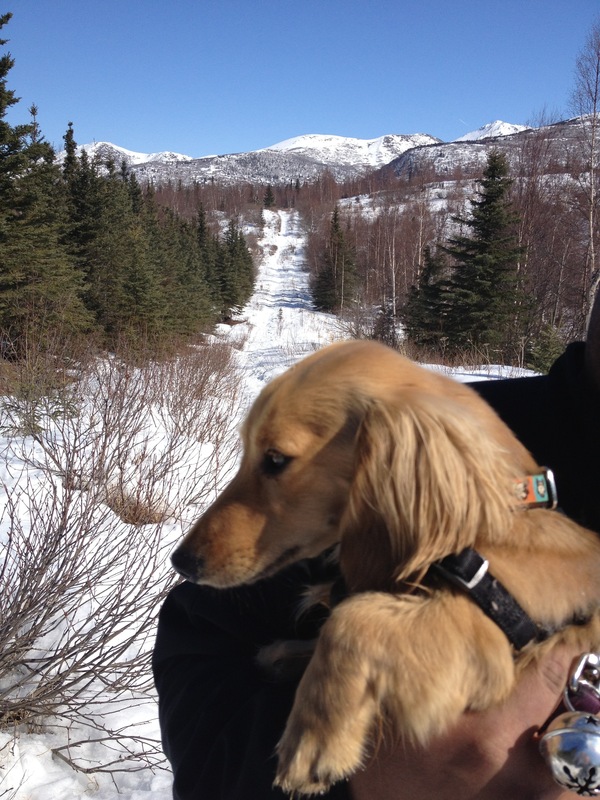 Hiking in Anchorage Hillside trail system in early April. I don’t think the pups remember what dirt looks like. TeKeela & Bailey after a playing and hiking. Snow again? Really? It started snowing Saturday morning and it has not stopped. There’s more snow in the forecast. Bailey’s face says it all!